In the past few years, we have covered a number of awesome iPhone speakers here. 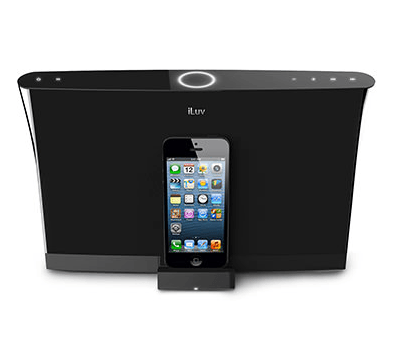 You could spend a few hundred dollars on a premium sound system for your iOS device. 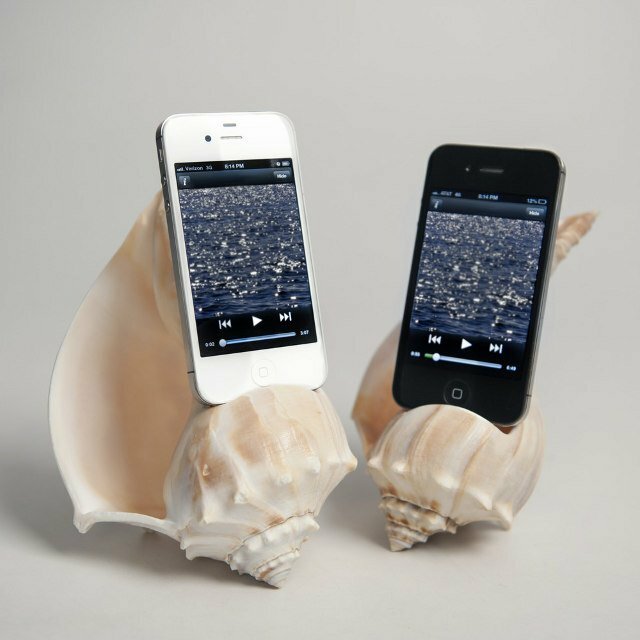 The Shellphone Loudspeaker won’t cost you a whole lot and has a unique look to it. You won’t need a power source to get it to work as the speaker amplifies the sound coming out of your phone. The Shellphone Loudspeaker is being sold by WAAM Industries. It is available for your iPhone 4, iPhone 5, and iPod Touch. The design looks quite fun and is a conversation starter. These amplifiers bring a small bit of ocean to your home or office and cost you only $75. Porkfolio is another cute iPhone accessory you can pick up to get more out of your phone. 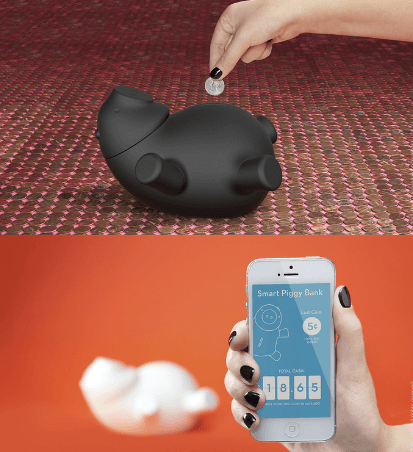 It is an app-enhanced Piggy Bank you can use to track how much money you are saving. When a coin is drops in, Porkfolio lights up and records the amount you have added. You can track your balance and even find out when someone has tampered with your savings (thanks to a built-in accelerometer). The Portfolio would make a great gift for the geek in your life.